Rustic wood farm table. Perfect for use without linen to create a chic look for your next event. Comfortably seats eight guests. Transitions well between casual and elegant events. Also now available in a distressed white finish. Call or visit today to learn about this new option! 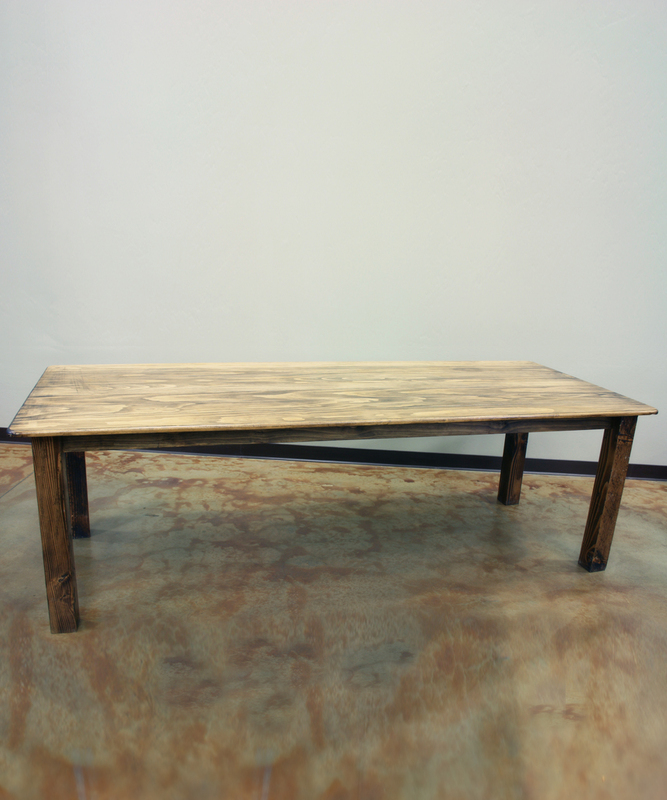 Table Farm 8' x 38"